Our High Pressure Jetters blast through any tree roots and debris allowing flow again. Generally the issue could be caused by such things as hair, coffee grounds and other foreign matter or natural things like leaves, tree roots, mud and silt. How Does High Pressure Water Jetting Work? 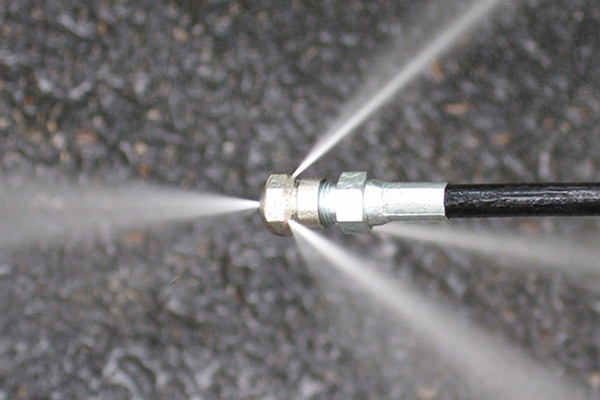 The High Pressure Water Jetters nozzle is inserted into an access point of the blocked drain, sewer or downpipes and water is blasted at a pressure of 5000 psi. It propels forward along the drain clearing the line of whatever is causing the blockage. High Pressure Water Jetting used in conjunction with CCTV Drain Camera Inspection will provide you with not only an unblocked drain but will determine the cause of the problem to ensure future blockages are avoided. Jetset Plumbing provides Blocked Drain Clearing using High Pressure Water Jetters throughout Brisbane, the Gold Coast and Tweed Heads. We operate 24 hours a day 7 days a week and ensure that one of our friendly and professionally licensed plumbers will always answer your call. Give us a call now on 1800 443 996 and we will deliver the most effective solution to your blocked drain problems.